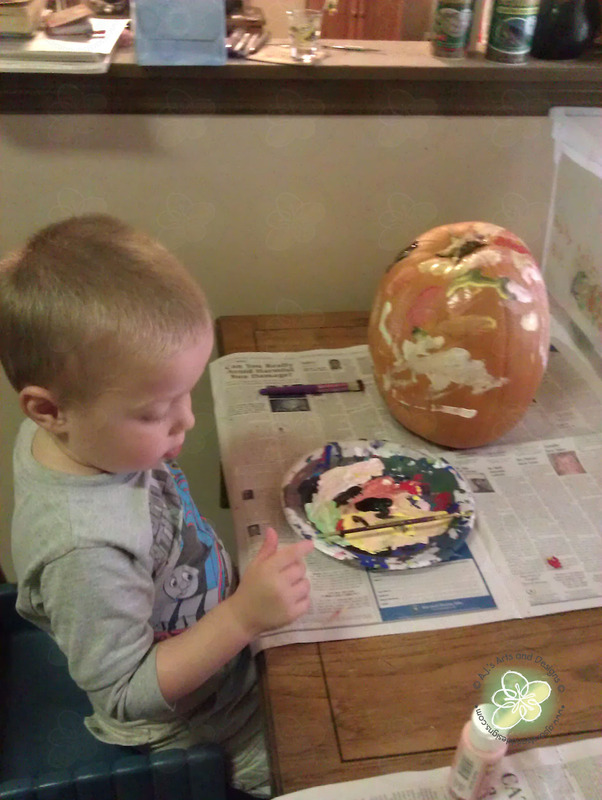 Painting Pumpkins 2012 | Who Are You Calling Crafty? 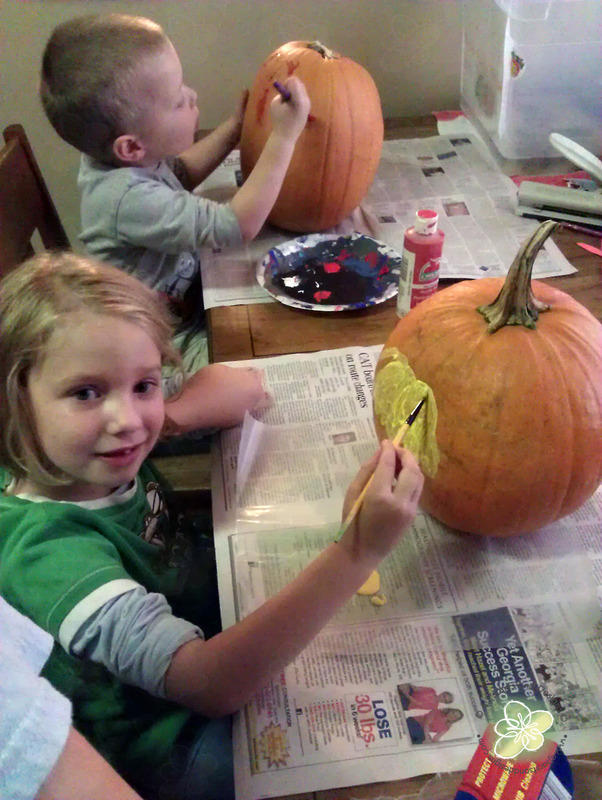 This is the first year both kids wanted to paint pumpkins (which me very happy.) 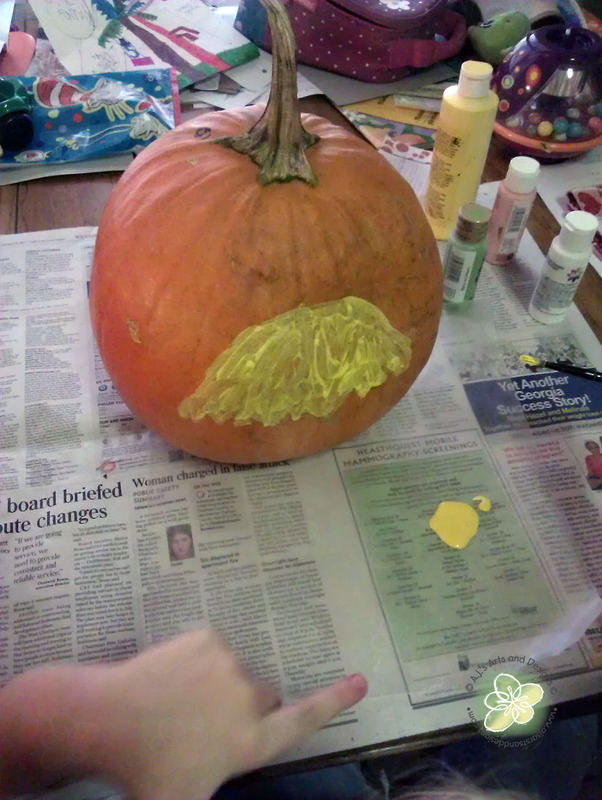 Last year only Booga painted a pumpkin and the princess’s pumpkin died on our kitchen table. 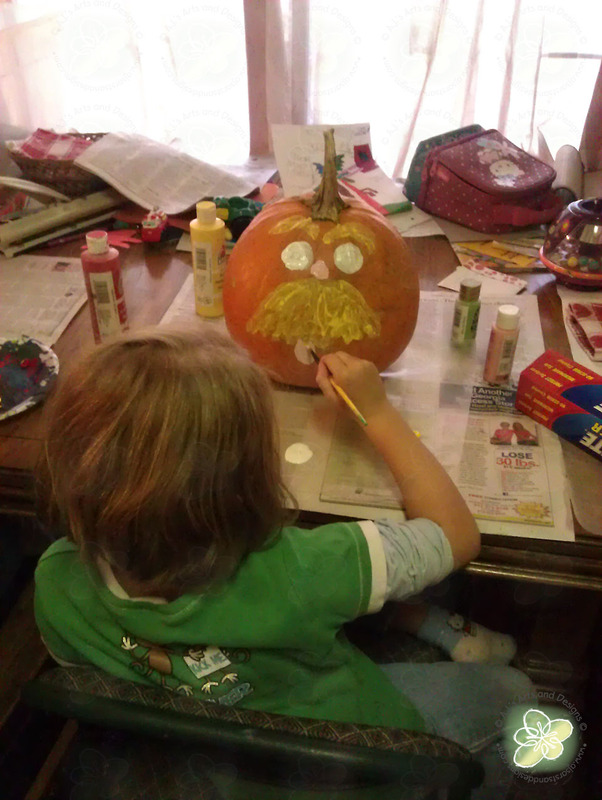 The princess really wants to enter her pumpkin into a contest at school, she decided to paint the Lorax on her pumpkin. 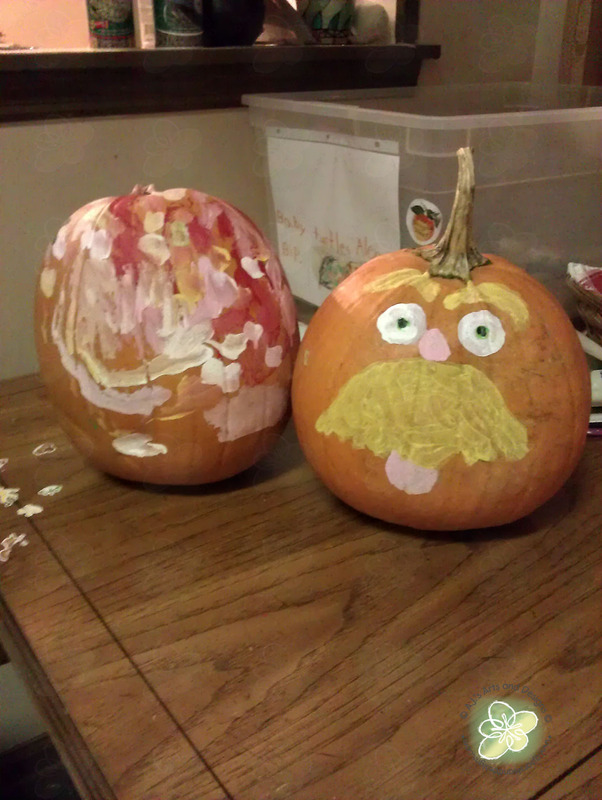 Booga decided to paint Chuck Close on one side and James (the train) on the other. 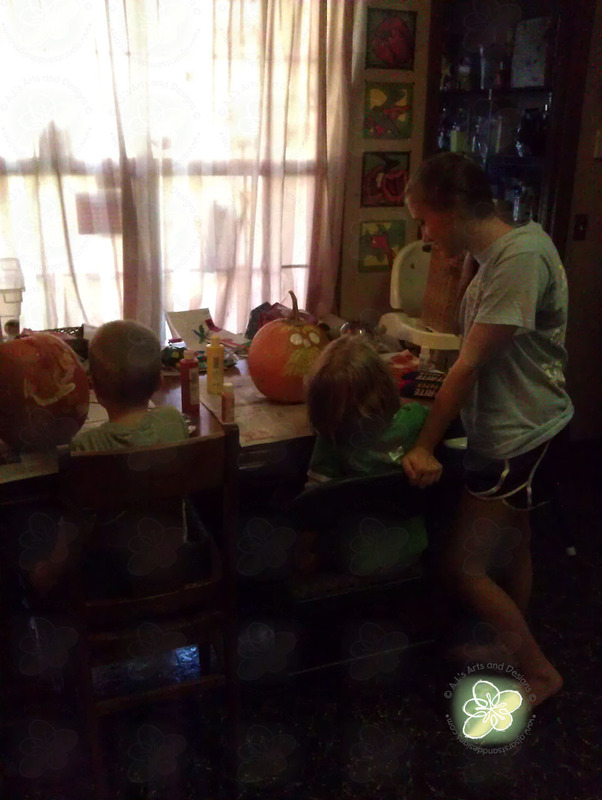 We got our pumpkins from the local farmer’s stand, the kids loved picking them out (I forgot to take pictures). Of course once we got them I knew we would be doing them Sunday after our Girl Scout function, since we didn’t get to the Farmer’s Stand until Sunday. 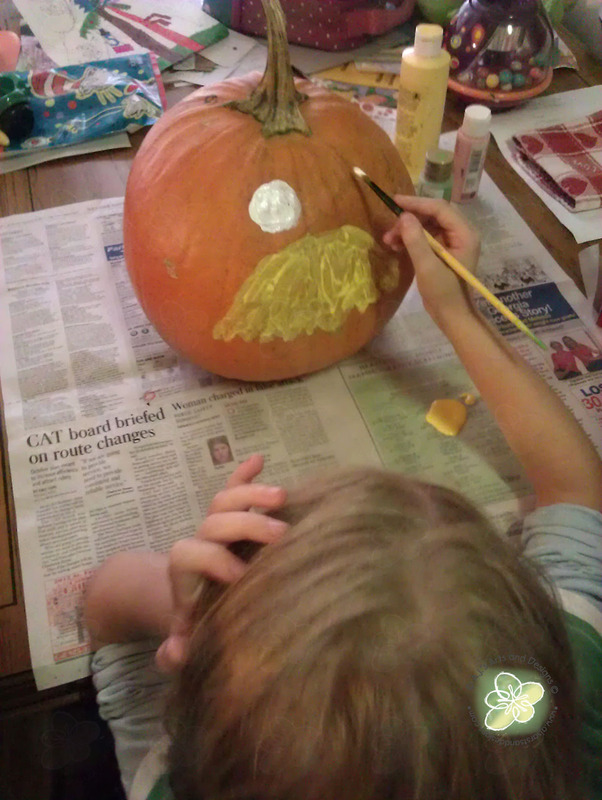 Booga saying he said he was painting Chuck on his pumpkin. 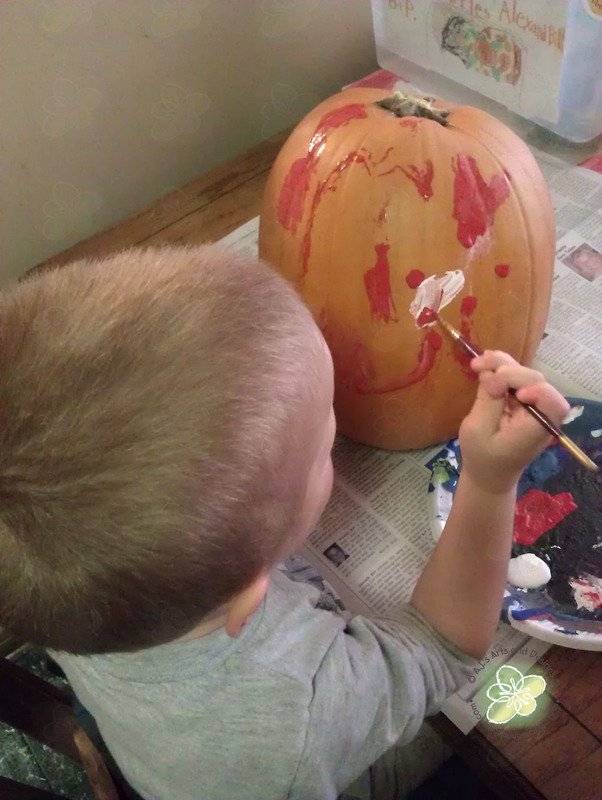 Booga really getting excited and into painting his pumpkin. Both kids painting (me getting the really mom – I’m painting look). As you can see Booga could careless. 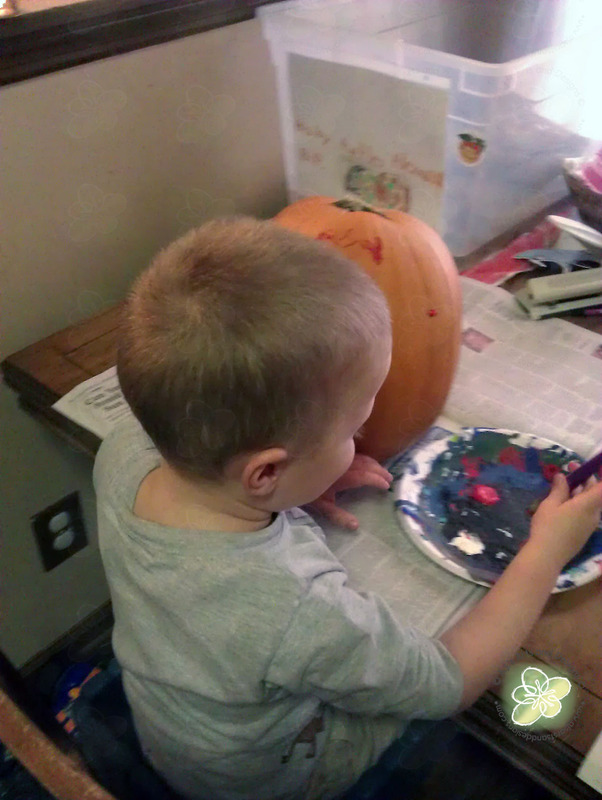 He finished Chuck and moved on to James on the backside of the pumpkin.